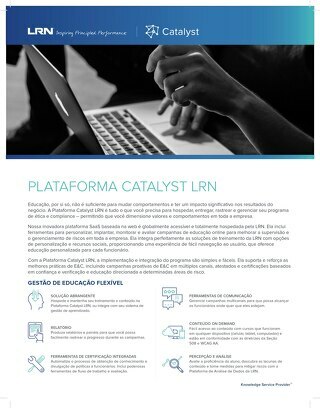 Increase employee engagement with LRN's new platform tool that allows Partner compliance and communication teams to deliver targeted, high-quality messaging to their diverse global businesses on key E&C topical risk areas. 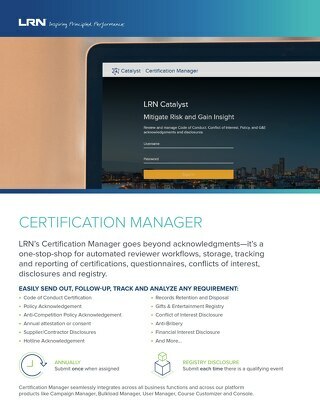 LRN’s Certification Manager goes beyond acknowledgments—it’s a one-stop-shop for certifications, disclosures, registry, and case management of your entire enterprise. 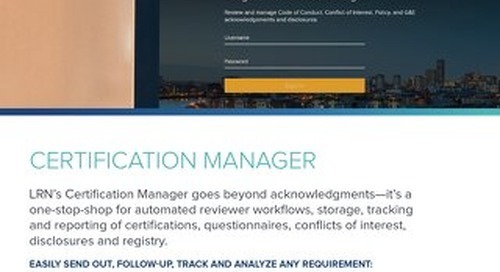 Learn more about our innovative SaaS web-based platform, Catalyst®, providing everything you need to host, deliver, track and manage your ethics and compliance program. 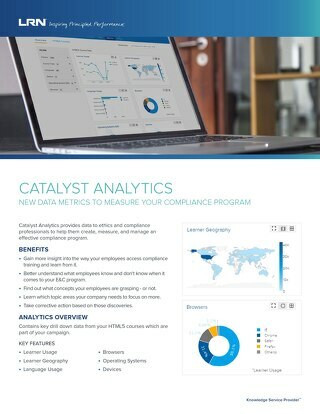 Learn how you can use new data metrics to measure your compliance program. 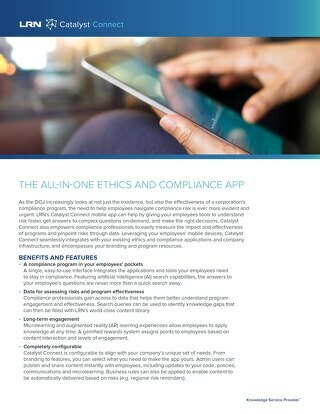 Learn how your organization can integrate your ethics and compliance program into an easy-to-use mobile app, giving employees on-the-go access to the content and tools they need. 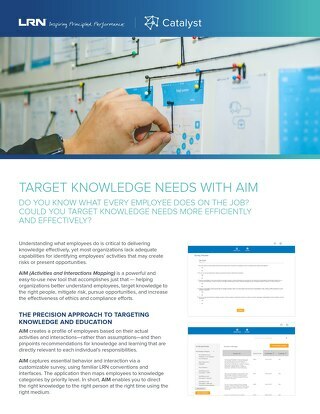 Learn about a powerful tool that helps you understand what employees do on the job so you can effectively develop their knowledge and skillsets. No internet? No problem. 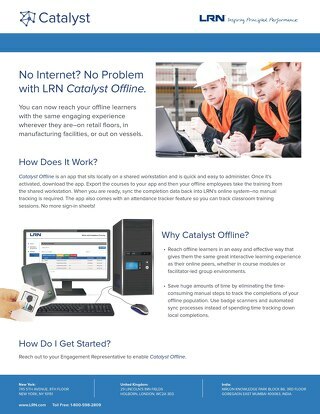 Reach offline learners with the same engaging content experience wherever they are. 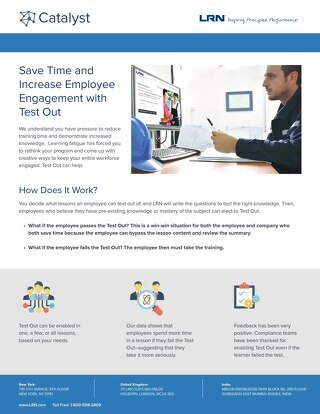 Save time and increase engagement by allowing employees with previous knowledge and experience to test out of specific training. 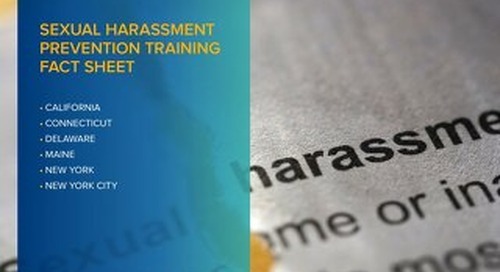 Learn how to effectively meet the challenge of cyber threat by fostering the right employee behavior through practical applications. 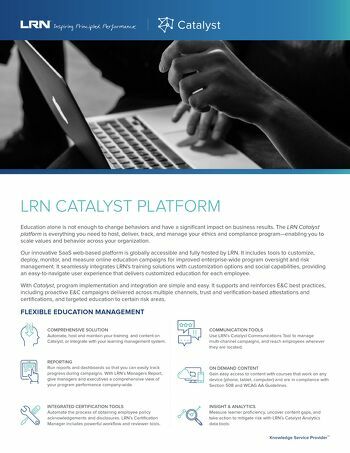 Read this factsheet to learn about LRN's comprehensive ethics and compliance (E&amp;C) solutions to help organizations' build thriving, values-based cultures and drive business outcomes.